Have you noticed that among the 20 million Beijing dwellers, a small group of them are being influenced by British culture and trends? They drive British vintage cars, eat British desserts, join English football clubs, and follow the latest trends in UK fashion. These changes have been brought about by a growing number of British business professionals in the city's trade, culture, food and sports sectors. 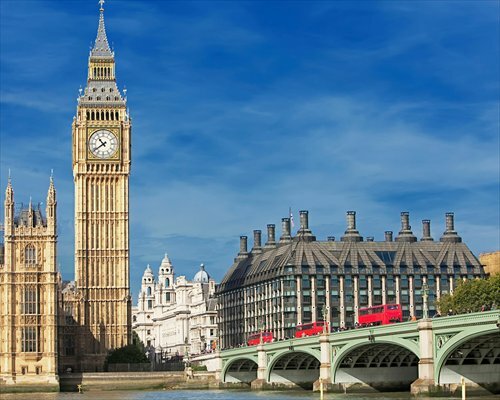 In 2014, there were 19,567 British citizens living in the country - a 7.8 percent growth compared to 2012, according to data provided by the British Embassy in Beijing. In light of President Xi Jinping's visit to the UK, Metropolitan rounded up four high-profile British business professionals to speak about their experiences and vision. Hailing from different backgrounds, what these professionals have in common is knowing how to use the British cultural influence in its strongest sectors, to their advantage. Improved Sino-British relations have also made them dream even bigger about the possibilities of growing their businesses in China. They have done more than just change a recipe to cater to local tastes or learn the language to socialize better with Chinese clients. They are here to influence the cultural scene and foster firm business relations. "We want to build a classic car culture in China." At the Bund Classic in Shanghai last week, an event for classic, historical and vintage car enthusiasts, James felt unprecedented interest and enthusiasm for his cars from Chinese people. "Both the consumers and trade [partners] in China have understood the UK is a very rich source of products and base in the car business." The reputation of the UK as a center for car design, and especially its rich heritage of brands, has been recognized all over the world, said James. "The British are creative about the styling of cars, and have a great tradition of making cars look fabulous and not so much just to buy." While he was building the China office of his public relations company which he founded in Singapore, James revisited the young boy inside of him who grew up loving sports cars. He was able to live out that passion by founding the British sports car dealership in China in 2011. In his vision for the car business, James thinks big. "What we hope to do in future, is to build a classic car culture in China." "Now China is the largest automotive market in the world," he said. "Leisure lifestyle vehicles are only just beginning to grow in China. There's a very exciting burst in the last years in classic car venues, sales and people wanting to learn about the history of classic cars, their styling and their performance." The challenge for a small brand like Morgan lies in tackling the large and dynamic Chinese market, he added. James thinks the UK's overall understanding of China and the understanding of the UK in China will benefit from President Xi's visit to Britain. "[All my businesses] will benefit. Because more people will be looking at China to see how they can access this market." 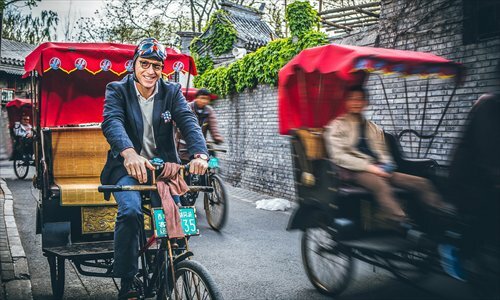 An active leader in Beijing's business circles, James co-founded the British Business Awards, and the Beijing chapter of the Global Entrepreneurs Organization. Over the years, he has come to know more young British people coming to China looking to start up their companies. "It's a very exciting development. They build very good communities to support one another in their ventures," he said. "Chinese women need hats to wear to polo games, horse races and weddings." Koch takes great pride in being "the only milliner who makes hats in the traditional way" in the Chinese mainland. Eight years ago, she quit her job in finance and started her hats business in Beijing. It seemed bizarre in the beginning to ask Chinese women to wear British hats, but now her designs have graced fashion magazines such as Vogue and Bazaar, and are the hats of choice of many Chinese celebrities. However, popularizing British hats among the general population has been a bigger challenge. "What I do is a niche market. Not every person who walks on the street in China or a farmer in the country needs a hat. Because I don't make the hats that keep your head warm in the winter or keep the sun out in the summer," she said. "These are the type of hats you wear to polo games, horse races and weddings." Citing the wedding of Prince William and Catherine Middleton as an example, Koch said: "Nobody went there without a hat on." As a metropolitan city, Beijing plays host to more and more social events where people want to accessorize themselves more elegantly. "For example, think of all the polo games in Beijing right now. We sold lots of hats at them," she told Metropolitan. Koch is glad to see Chinese women gradually opening up to the Britain's hat-wearing culture. "It has changed so much over the years," said Koch. "I used to be the only person wearing a hat at the events. But I look around and I see quite a few ladies wearing hats now, even if it's just a simple trilby." Koch has also started offering hat etiquette courses to teach people how to wear hats to different occasions, and high tea hat-making workshops. With Xi's visit to the UK, Koch said even though strengthening trade relations may not directly affect her business, the influence is on a wider level. "It's always great to put Britain on the map, especially in terms of fashion, because it's such a great place for fashion to grow from." "China needs 1 million football clubs." When Roman Simons came to China to study Chinese in 1987, and worked in the television industry in the 1990s, he couldn't have imagined that he would become a football expert trusted by many in this country. "At the end of the 1990s, I think everybody in China was very frustrated with Chinese football and I was very frustrated about the lack of football, especially grassroots social football, teen football and campus football." So Simons decided to register a company in 2000, just like how the time-honored British football clubs started. It was the first amateur football club operating as a company in China. "[People] thought I was mad. But I wanted to start a club for normal people to join and take part in," he told Metropolitan. What he wanted to bring to China, was the English "football pyramid," which involves a hierarchical format with promotion and relegation between leagues at different levels, giving any club the possibility of rising to the top. But he found it extremely difficult in the first decade of the business, with "a lack of tradition for people to join a local football club because everything is done by the government." However, 15 years later, Simons suddenly finds himself in the best line of business with the best opportunities. "China has changed its football plans, starting a revolution in football," he said. The plan, released in March by the State Council, will work toward improving and popularizing the sport at every level, including professional clubs, national teams and grassroots football. "Since then, schools have become interested in football and many people came to us," said Simons. Football is part of Xi's visit this week, and he is known to be a fan. Simons said he hopes more cooperation and changes to football in China will be spurred on by Xi's visit. He is confident that the development of football in China and the future of his own business, look very promising. Simons plans to open more branches of his club in other cities. Comparing the ratio of clubs to people in the UK, Simons estimates China needs 1 million football clubs. With proper guidance from the government and a leader's support, Simons believes that China can become a "country of football in 30 years," where everybody can easily join a club to play, and the nation will develop a culture of football. "We all know in our heart that football has to work in China like everywhere in the world. Because it's a fantastic game and Chinese people love it." "The diet is much healthier in China than in the UK, so we used less sugar." Starting a brand new line of cupcakes in Beijing and catering for local taste buds, was no piece of cake for Morris. Her business founded in 2009 took a upward swing last year when she made the decision to develop a low-sugar frosting as standard on the cakes. "The reception was poor from our Western customers, but fantastic from our Chinese base, and ultimately that is the growing segment of our business." "Finding a happy balance is tough," she concluded. "The diet is much healthier in China than in the UK. [So] the Lollipop Bakery has adapted to that by using less sugar." Between 2007 and 2009, when Morris was working as a corporate strategist in London after graduation, she noticed the trend of cupcake businesses making the leap from New York to London. That's when she came up with the idea of opening a London-style cupcake shop in Beijing. She recalled that during her year of study at Peking University in 2006, there were no cupcake bakeries here. "There were also no good bakeries doing what I call 'proper' cake - rich decadent sugary cake," she said. "Chinese cake tends to be on the lighter, spongier side with little to no sugar and a lot of egg white to hold the whole thing up," she explained. Over the years, Morris has found that Chinese people are growingly curious about British food culture, such as afternoon high tea, which she took advantage of by organizing such events to promote the bakery. Now Morris has managed to expand her business to cover a greater variety of baked goods, and improved on their quality and design. One of her most recent business moves was launching a WeChat shop. Morris warns newcomer expat entrepreneurs in the food industry that it can be very challenging when setting up a legal entity and understanding all the regulations. "Navigating the complex hygiene, environmental and fire bureau maze is still a nightmare, and can be expensive," she said. "I have learned to 'wing it.'"